I will start by simple notes and try to expand them as I learn, Hope this will be helpful for bringing up the available tools together. Available for both Android and ios, I have tried the Android version and it is working perfect. But the data is delayed compared to Fabric, and there are different tools to view different part of the data. it is possible also to send custom events, needs modification of Crashlytics plugin. 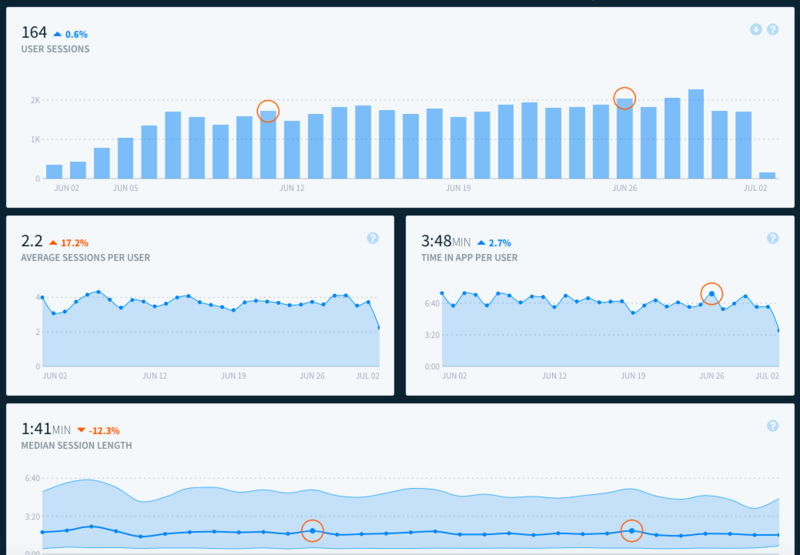 Attached screens are examples from Crashlytics. You see a summary of the events. I had issues in installing the preliminary steps. 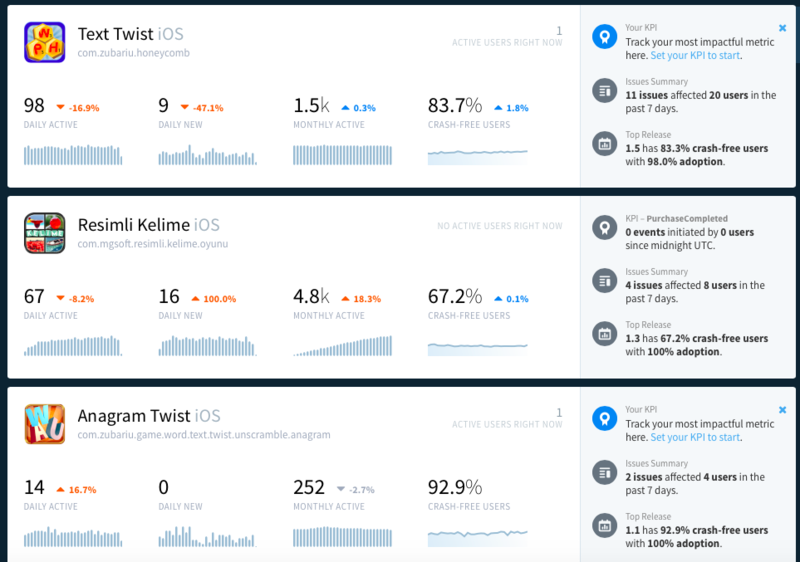 When you integrate Facebook SDK, Facebook starts to collect data from your app and provide you Good demographics info, Retention and session info. Custom Events are also possible, I guess here we need to modify the FB plugin to be able to send the custom events. An extensive tool which includes everything you need to analyse in your applications. Gideros plugin not exist yet, would be good to have. I think It would suit for Enterprise level customers/users who wants more control on their own data. REST Api based plugin provided by @totebo in the following thread. I have not tried it but, since this is a REST based implementation, it would suit for all platforms. And you will not have to deal with plugin installation. Facebook appears to be free. Google analytics for apps looks depreciated, they now have firebase and the analytics bit is free. Fabric didn't work for me - just a mess. Put off for life. Flurry - old, but works. I am surprised with Count.ly, that it has a plugin for Gideros.